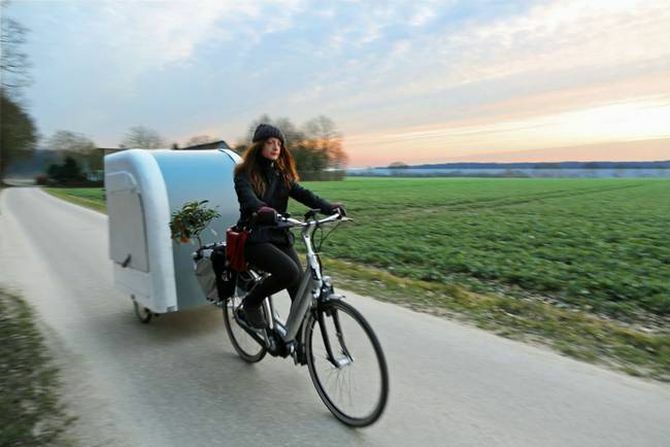 In towing mode, the camper can fold up with its back end resting over the front end. On unfolding, it measures 2.6-meter long and just under 99 cm tall. 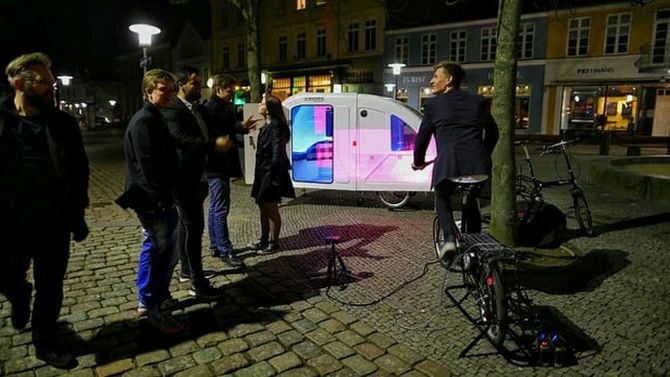 It weighs 100 pounds, which is remarkably light for a caravan. This means it can easily be hauled up by an individual to any location. So when want to take a break from cycling, you can park it for sight-seeing or resting anywhere you like. The caravan’s fiberglass body has been replaced with a molded composite. Interior is lined with insulation foam for coziness and warmth. 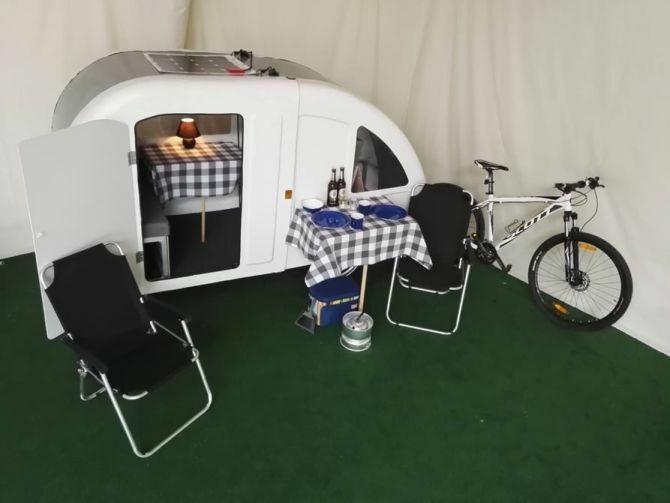 Even inertia brake has been added, and a slot is installed in the back of the caravan where the user can accommodate a tent for extra shelter when parked. An optional solar package can also be installed. When paired with a battery, the solar panels will be able to juice up your smartphones, as well as power a light and fan for up to 12 hours. 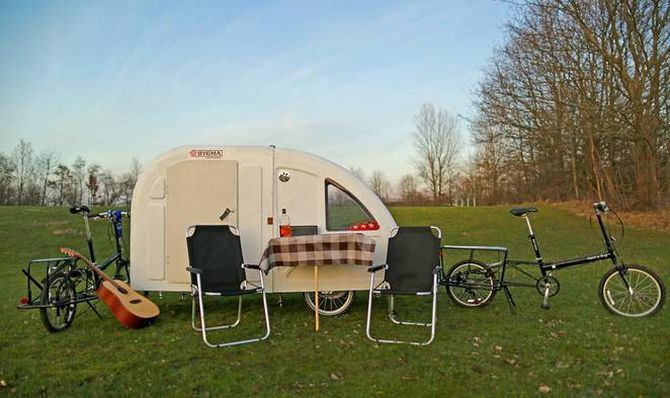 Now you can preorder this bike-towed camper from the company’s website. It will begin shipping in Europe, Canada, Australia, US, and other countries from September. The prices start at €3,500 (approx. US $3,900).